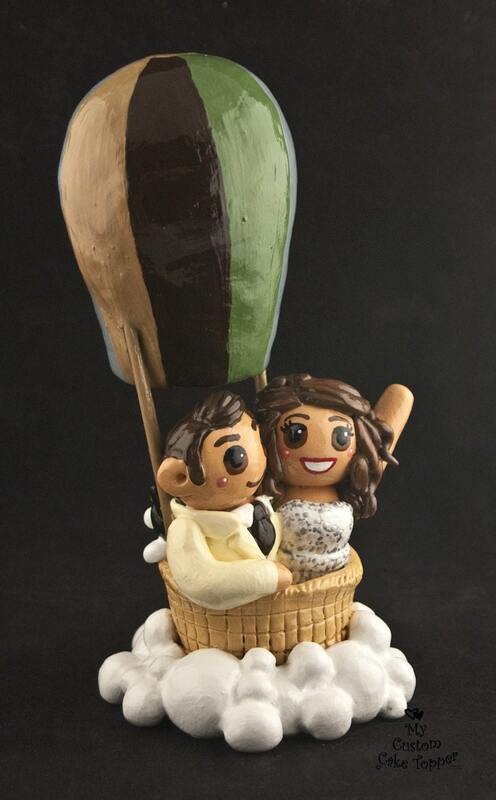 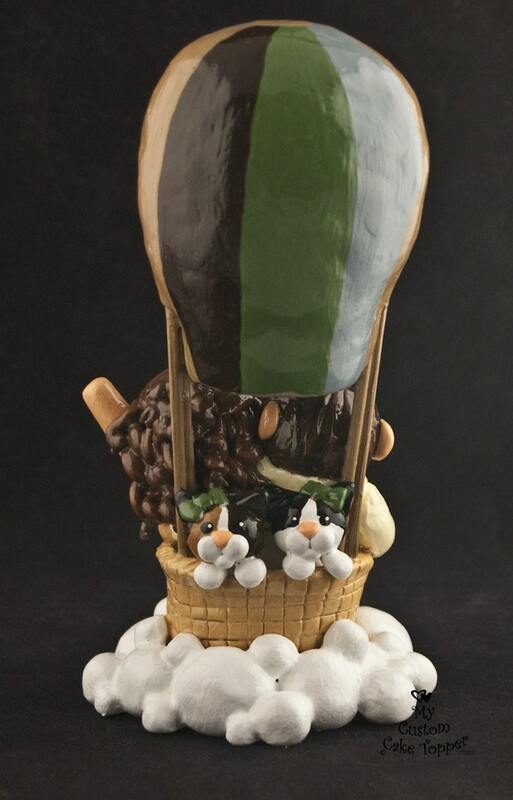 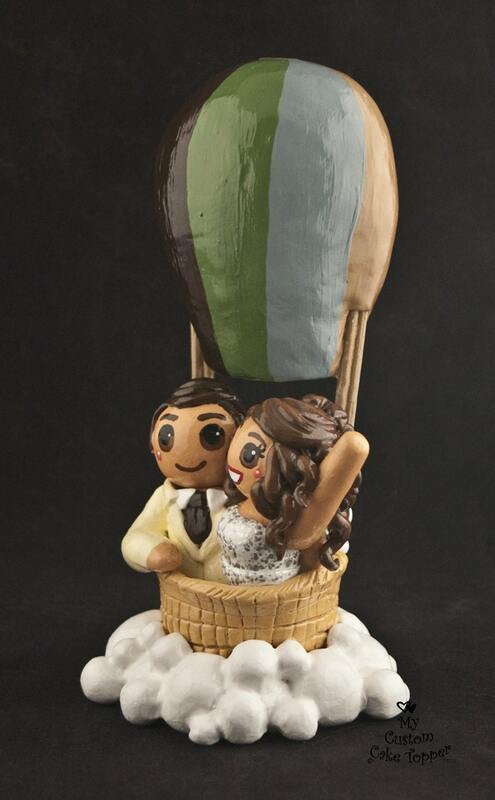 Hot Air Balloon Bride and Groom wedding cake topper! 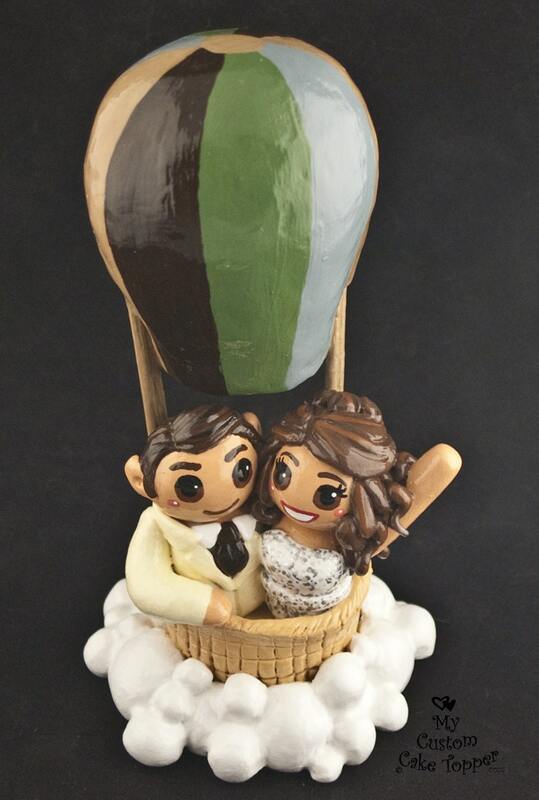 This listing is for a bride and groom with or without a pet, which includes the bride, groom, hot air balloon, and cloud base (Pets are extra). 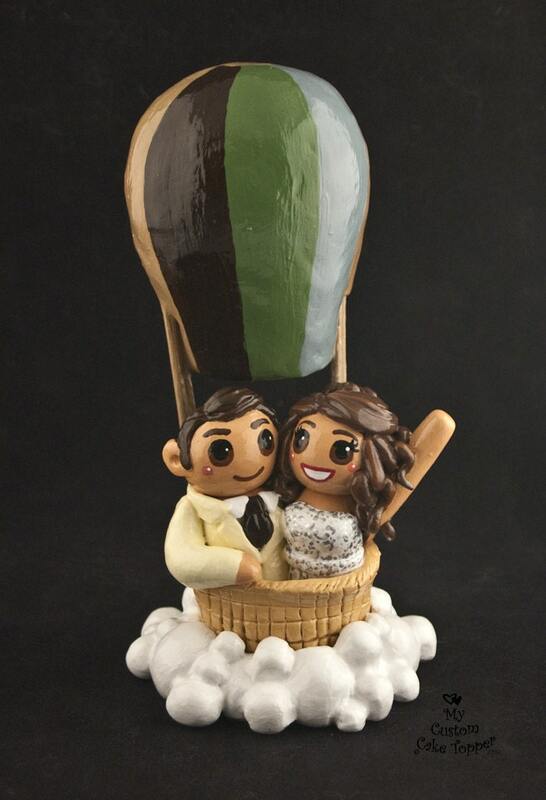 They will fit your description for dress, attire, hair color, hair style, eye color, etc.